Trying to lead a healthy lifestyle while on a strict budget can be tough. It seems like a cruel twist of fate that healthier foods seem to be the most expensive, and this is one of the main reasons as to why people all over the globe get comfortable with poor diets. However, the price of healthy foods is no excuse for an unhealthy lifestyle, and believe it or not, there are many tips and tricks which allow you to eat healthy while on a budget. We’re here to share these awesome tips with you, so you can eat clean without breaking the bank. 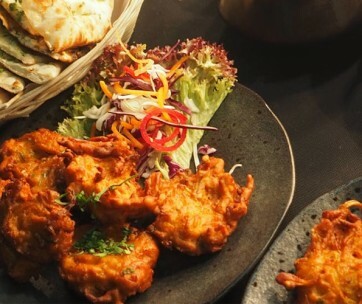 If you’ve got into the habit of heading to restaurants whenever you can’t be bothered to cook, then it’s likely that you’ve noticed the pileup of hefty bills which come with fine dining. Although it’s great to treat yourself once in a while, the money you spend on a luxurious meal could fund home cooking for a week. Next time you consider going elsewhere for food, think to yourself if the calorific flavorings and price tag is worth it. Speaking of being lazy with food, ordering junk food is no good for your balance or health either. Instead of ordering a juicy burger stacked with several different types of carbs, look into lean alternatives that will actually do some good. You’ll still get that wonderful feeling of eating a burger, but the experience will go a step further once you realize what you’re eating is healthy! Stay on top of healthy eating by meal prepping each week. Simply make all of your lunches on a Sunday, pack them in meal prep containers and you’ll be sorted for the week ahead. 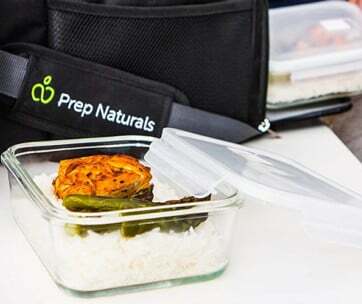 Meal prepping gives you great guidance on what you’re actually feeding yourself, meaning you can assess whether you’re saving money and cutting calories. This not only keeps you healthy as you’ve been strict with what is going into the meals, but it means that you won’t be spending unnecessary money on lunch at the overpriced cafe near your work. Eating healthy on a budget is all about being strict with yourself and not caving into willpower. We’ve all been victims of failing diets, but this time around, it’s time to stick to your guns for good. Before you head out to the grocery store, make a strict shopping list full of healthy ingredients that are low in price. Don’t wander off down the sweet aisle when you get there – focus solely on your healthy list. Unfortunately, healthy food tends to have a shorter lifespan due to being so fresh. As this is the case, buy frozen groceries so that you can keep a good stock in the freezer and not have to waste money on moldy food which you never even got around to eating. Another great way to eat healthy while on a budget is to grown your own fruit and vegetables! You don’t have to be an experienced gardener to be able to carry out this task, all you need is a plot of land and gardening tools to get started. Before you know it, you’ll have your very own batch of homegrown produce that you can either sell for profit or use yourself. Bulk buying foods is a great way to save money, as you’ll find yourself spending less time shopping and more time doing things you actually enjoy instead! More times than not, bulk buying food will be far cheaper than buying individual items, so it’s really worth checking out the prices of products before putting them in your shopping basket. You’ll soon find that the majority of foods can be bought in bulk for a fraction of the price online. Search high and low for coupons and we can guarantee that you’ll hit gold. Whether there’s a promotion online or a voucher in a newspaper, new coupons are released on a daily basis to entice readers like yourself who are looking for a health kick. You’ll not only save costs on your food but you’ll also end up trying new things which you probably wouldn’t have considered before. Who doesn’t love free stuff? Similarly to using coupons, it’s worth checking out local sales to see if you can get a bargain on some healthy food. Fruit markets will always be selling batches of produce far cheaper than a supermarket would, so check out the sales and your bank balance will thank you. It’s sad to think that a lot of the food we purchase has already been processed and riddled with chemicals. This isn’t healthy at the best of times, so look after yourself and focus on a whole food diet. Whole foods are completely natural, meaning you won’t be eating any of the bad stuff which contaminates processed food. If you’re super conscious about what you’re feeding yourself, then whole foods are the way forward. Through combining the tips mentioned in this guide, you’ll be well on your way to having a healthy diet and a healthy bank account to match. 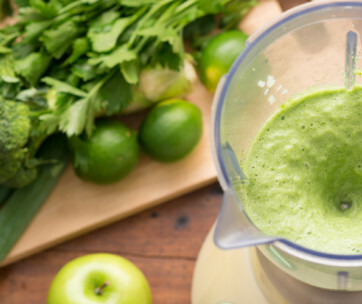 You can even start incorporating healthy smoothies into your diet to spruce things up a bit; the possibilities are endless!